As far as travel years go, I think 2013 was perhaps my best so far. Even though I spent the first half of 2013 finishing up my master's degree, I still ended up traveling for about 4-5 months out of the year. That's A LOT of travel!! My 2013 travels took me from festive Scotland to balmy Belize. From springtime Ottawa to the humid Old South. From the canals of Venice to the jungles of Costa Rica. I re-visited some old favorites, but mostly explored completely new destinations — including nearly a dozen new countries! Choosing my most memorable moments from the past year wasn't easy — I had to edit out some great things, like eating waffles in Bruges, exploring Montmartre in Paris, and going behind the scenes at the Colosseum in Rome (along with countless other things I did while traveling around Europe for 3 months this year). I'm not really a Royal Family fangirl, but it WAS pretty cool to be in London when Prince George was born. I headed over to Buckingham Palace the day after to stand in line with everyone from tourists to London businessmen to see the Royal Birth Announcement, and then watched the 41-cannon-salute to the new prince at Green Park. There was a palpable excitement in the city surrounding the Royal Birth. And, while it didn't compare to the atmosphere in London last summer during the Olympics, it was still pretty cool to be there for. 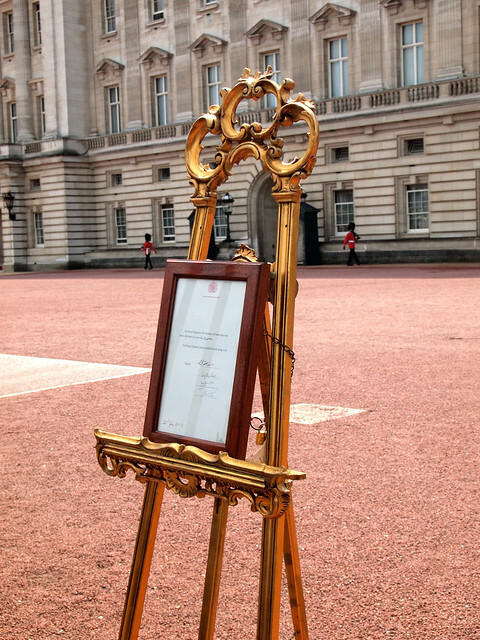 >> Read about Royal Baby Fever in London. I was SO excited to finally visit Berlin. And the city did not disappoint — it now ranks up there as one of my favorite cities in the world. 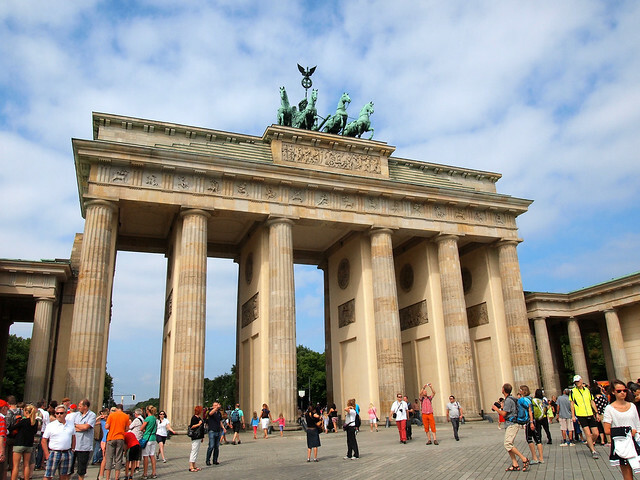 While I enjoyed all 5 days that I spent in Berlin, by far my most memorable experience in the city was taking a Third Reich-themed walking tour with Insider Tour Berlin. As a big history nerd, I found this tour beyond fascinating. I think it also really helped me understand Berlin a bit better. >> Read more about Berlin. It's official — sloths are my favorite animals!! I got to get up close with these adorable-if-slow critters twice in Puerto Viejo, first at the Sloth Sanctuary and again at the Jaguar Rescue Center. Escaping to Costa Rica for a week in March was in itself a great experience. But the sloths were definitely my favorite part of my time there. 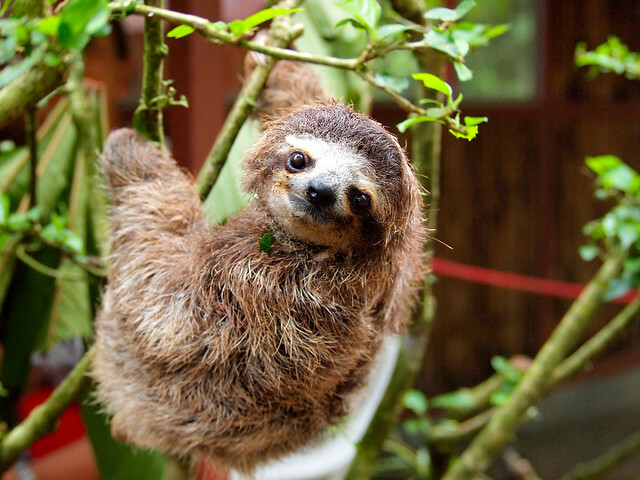 >> Read more about sloths in Costa Rica. Back in January, I went to Belize for a week. 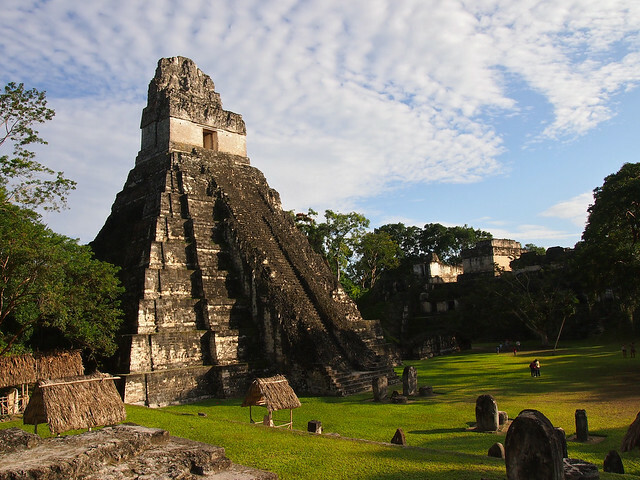 This trip also included a hop over the border into Guatemala to visit the Mayan ruins of Tikal. In order to make the most of our time at the national park, we camped in the middle of the jungle that night. While it's not something I think I'll ever do again, being awoken by screaming howler monkeys at 4 a.m. in the middle of the Guatemalan jungle is something I will never, ever forget. It was both terrifying and really cool. >> Read more about this camping experience. Ever since I was a little girl, I've loved the movie “The Sound of Music.” I know all the songs, and can recite most of the lines in the film, too. So, when I decided to add Salzburg to my Europe itinerary, I knew I would be spending my time in the Austrian city tracing Julie Andrews' steps. And that's exactly what I did. And it was SO much fun. 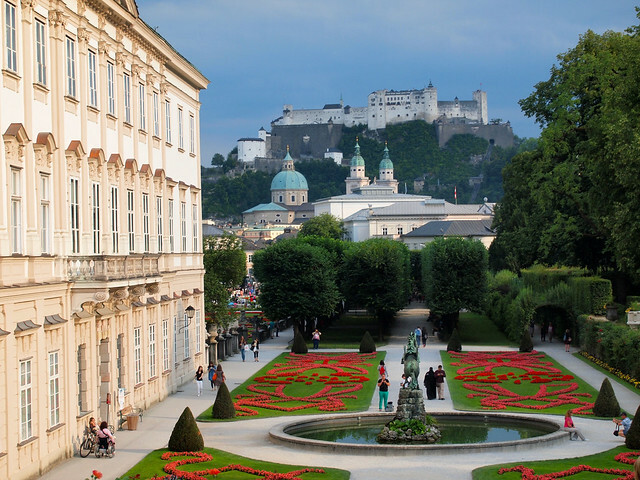 >> Read about the “Sound of Music” in Salzburg. 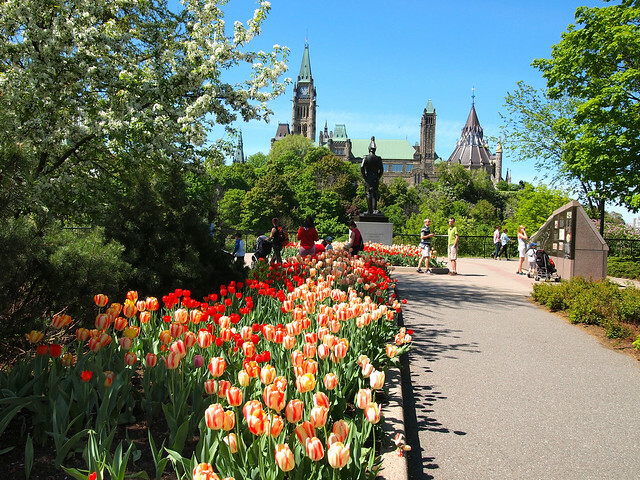 I visited Ottawa for the second time in May, and spent 4 lovely, sunny days enjoying the Canadian Tulip Festival. My favorite day was the one when I rented a bike and cycled to Dow Lake to take hundreds of photos of tulips of all shapes and colors. It was the ideal solo travel experience for me — good weather, a beautiful destination, a fun event, and some outdoor activity. >> Read more about the Canadian Tulip Festival. I spent 2 weeks this year island hopping around the Cyclades in Greece. While the whole experience was memorable, I think the part I will look back on the most fondly will be exploring the iconic cliff-top town of Oia on the island of Santorini. 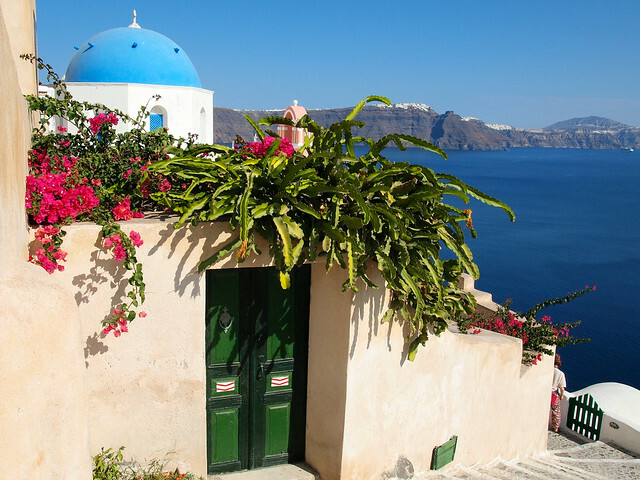 Filled with sweeping views of the Aegean and postcard-perfect scenes starring blue-domed churches (not to mention incredible sunsets), Oia is a place I think I will always daydream about. >> Read more about Santorini. I titled this post my most “memorable” travel moments instead of my “favorite” travel moments for a reason — not all of my memorable travel moments from the past year were happy ones. The visit to former concentration camp Auschwitz-Birkenau in Poland was incredibly depressing and still haunts me to this day. Yet, visiting Auschwitz is a travel moment that I will NEVER forget. I think it's important to visit places like this in order to better understand history and to fully realize what the human race is capable of. 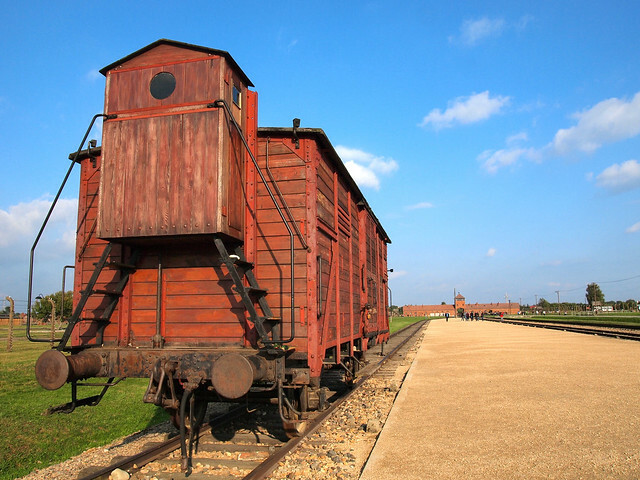 >> Read more about my emotional visit to Auschwitz. I honestly wasn't expecting to love Venice. But love it I did. From the moment I first set foot on the island, I knew Venice was a place that I was going to really, really enjoy. My favorite part was definitely just wandering through the narrow streets and along unmarked canals. Getting lost in Venice truly is the best way to experience it. 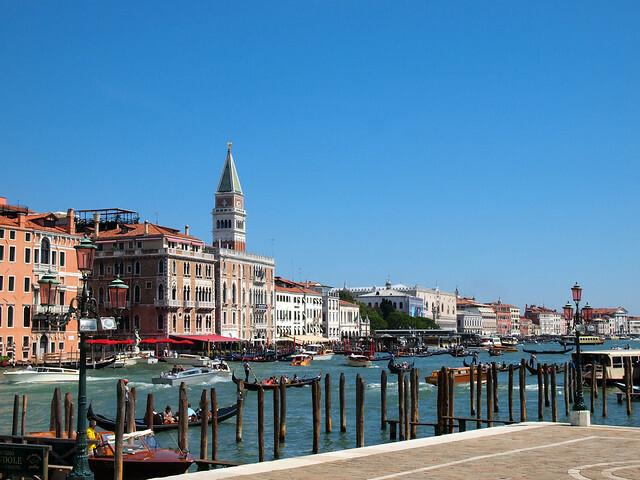 >> Read more about Venice! I'll admit it — I can be a bit of a daredevil by most people's standards. I've been bungee jumping multiple times, and the number one thing on my travel bucket list is to cage dive with great white sharks. So, naturally, when the opportunity arose in Belize to get in the water with stingrays and sharks, I was super excited. In fact, I was the first one in the water. The experience (even though they were just relatively harmless nurse sharks) was amazing! 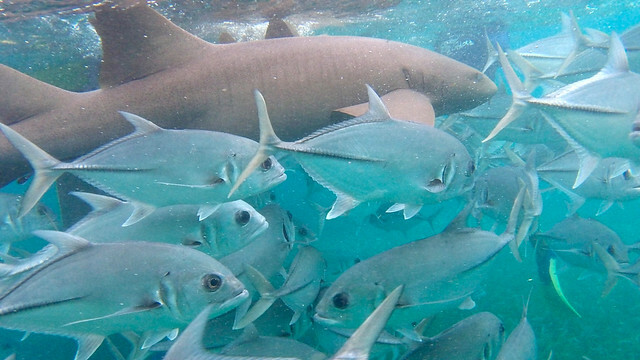 >> Read more about my snorkeling trip in Belize. I've maintained for a few years now that the best way to discover America is by road tripping through it. This year, my sister and I tackled the Old South on a weeklong road trip from Ohio to Florida. 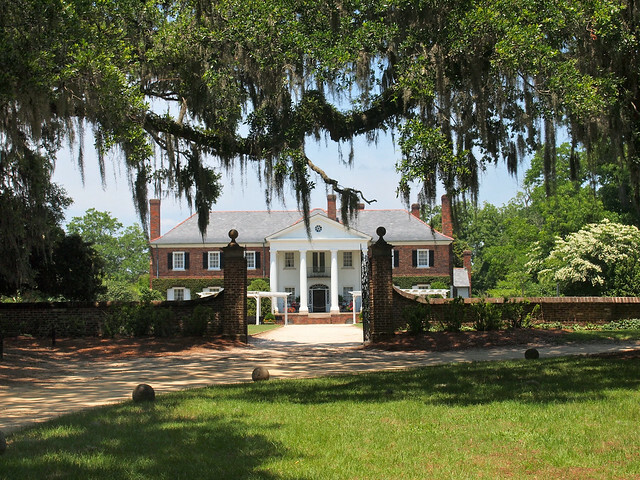 We got our history on in Virginia, visited the site of the first powered flight in the Outer Banks, took a carriage tour in Charleston, visited an old plantation, and spent a few days soaking up the southern charm in Savannah. It was a short(ish) trip, but a memorable one. This part of the U.S. is so interesting — and also absolutely beautiful. >> Read more about the highlights of this road trip. I started 2013 off right — with a massive celebration in Edinburgh, Scotland. As the clock struck 12:01 on January 1, I was singing “Auld Lang Syne” along with thousands of other people in the Scottish capital as fireworks shot off from behind a castle. YEAH. That happened. Then, later that day, I put on a bikini and jumped into the freezing River Forth as part of the Loony Dook. It's a New Year's that will be really hard to top. 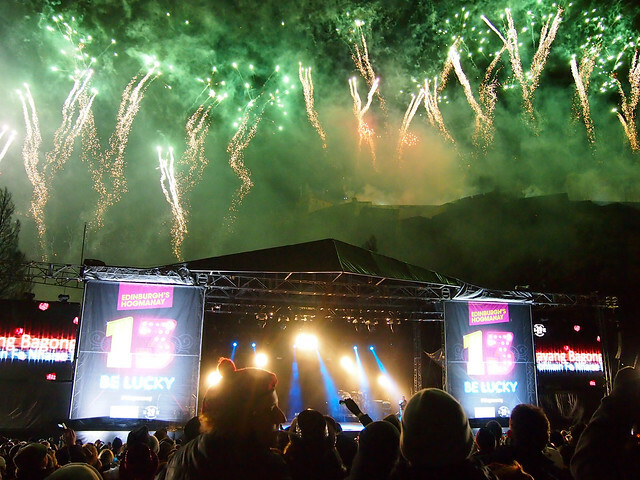 >> Read more about the epicness that is Hogmanay. After Hogmanay, I doubted that any other experience in 2013 would be able to surpass it as my most memorable moment of the year. But then March rolled around and I found myself in Churchill, Manitoba, bundled up in about 17 layers and standing outside in the dead of night, staring up at the sky and watching the Northern Lights dance and shimmer above my head. It is an indescribable thing to actually see in person — and the movement literally cannot be captured on film. Seeing the aurora borealis was on my bucket list before I even HAD a bucket list. So to actually cross that off this year… it still gives me goosebumps to think about it. >> Read more about the Northern Lights. Wow. Looking back, I can't imagine that I fit that much travel into just one year! Here's to an even more epic year (if that's even possible?!) in 2014! And thank YOU so much for following along. What was YOUR favorite travel moment from 2013? Pretty busy. Are you going to ratchet things up so you’ll have 14 for 2014 and 15 for 2015? In a few decades you’ll be searching for adventure 24/7 just to keep up with the demand for your 48 Amazing Experiences of 2048. Your fans demand it! Your year sounds wonderful. Enjoy your holidays and upcoming travels! Thanks, Angela! I’m lucky to have had such an amazing year. Wow! Your 2013 travel was incredible! I am still so envious that you were in the UK for all the hoopla during Prince George’s birth. And I agree that seeing the Northern Lights is something that can’t be described or topped. My favorite travel memory of 2013 was canoeing on the Bio Bay in Puerto Rico. It’s another indescribable experience (though I tried my best to put it in words). Thanks, Juliann! 2013 will be hard to top, but I’m sure we’ll both do our best in 2014! It’s cool that your road trip so close to home made your top 3. I definitely want to road trip around the US more. For all it’s imperfections, it’s an amazing country. Road tripping in the U.S. is amazing – my road trips in America have always turned out to be some of my favorite travel experiences! There’s so much to see here; I want to try and do a big one at least every other year! Sorry you missed the Lights in Iceland! I had a similar experience there. Perhaps the second time will be the charm someday for you, too! Ahh.. The northern lights.. A big time bucket list item of ours. Was that awesome shot taken by you? Soooo amazing. I hope to see them again someday. And yup, all my photos in this post! Looks like you had a fantastic year! I love that photo of the sloth. I don’t remember seeing any sloths when I did my semester in Costa Rica in high school. I would love to get back there and see how much it has changed since I was there in 1997! A fantastic year indeed! That sloth photo… it just puts a smile on my face every time I look at it! And as for how much CR has changed… I would bet a lot! An amazing year Amanda! Hope you have an equally amazing 2014!!! I’m sure it will be! I’ve loved following your adventures, and look forward to the new ones! Thank you, Helen! It was great meeting you this year! Looks like you had a great year! Love all the photos in the post too. Thank you! And yes, the best year so far! Happy New Year! I love that your most memorable travel moments were so diverse. 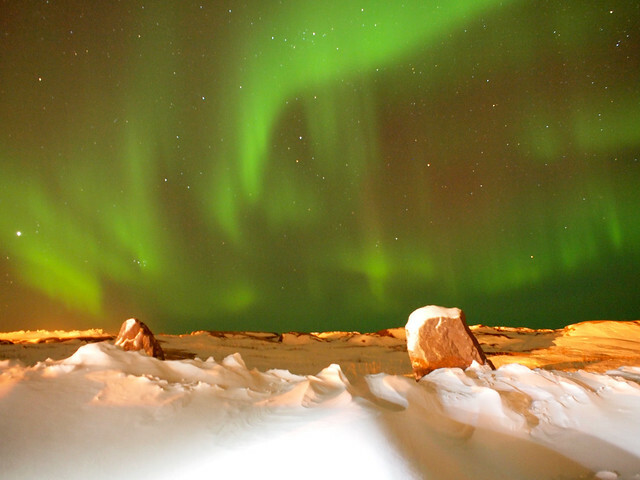 I’m hoping 2014 will be the year I cross seeing the Northern Lights off MY bucket list! The Northern Lights… ahhhh so amazing! I wish everyone could see them someday! And yes, plenty of diversity in my travels this year! Definitely something I hope to keep up in 2014! Nice collection of places you’ve been! Very jealous. It was an incredible year – will be hard to top! Great list. Thanks for sharing. Our favourite travel moment was a toss up between visiting Seville and spending time in Portugal’s Alentejo. I really need to get to Portugal sometime! It’s pretty high up on my travel list. Wow, so many trips in one year!!! Glad to see you posted both the good and the bad in this roundup! I’m… err… looking forward? to visiting Auschwitz myself in 2014. I think it’s an experience needed to be had, even though it won’t be the happiest one. Can’t wait to see what all you’ll get up to in 2014! I think visiting places like Auschwitz are really important, too. I won’t say “have fun,” because you won’t – but I do hope you find the experience to be worth it. You are the second blogger I’ve read today that has spent the New Year at the Hogmanay Festival, an event that I’ve never heard of before. Maybe it’s a sign for me to go pay Scotland a visit. Of your top 13, I really would love to see the northern lights in person and visit the concentration camps in Poland. Wow what a fabulous year you’ve had! Can you single out one stand out place or experience out of them all? My travel highlight of the year would have to be snorkeling in the Maldives closely followed by Vienna’s enchanting Christmas markets! Hope you have an amazing 2014 with more great adventures! Snorkeling in the Maldives and European Christmas markets sound like great highlights! Seeing the Northern Lights was definitely the top of the list for me. What a fantastic year! I’m hoping to make it out to Salzburg next year so will definitely be doing all the Sound of Music sights – and Belize has long been on the travel wish list so who knows. Here’s to lots more travels and a very happy 2014! Ahhh Salzburg is so great! Especially if you are a Sound of Music fan! And Belize… I would like to get back there in 2014 if I can! 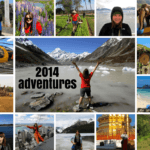 I hope you have a great year of travel in 2014, too! Wonderful! Mine was riding a camel in the desert with two strangers! I was in Rajasthan in March – it was almost the end of tourist season, so the desert was even more deserted….and I was all by myself! But it was memorable! Wow, impressive year! I love that you managed to cover such diverse places in so little time. Am definitely excited to see what’s in store for you in 2014! What an amazing year you’ve had! That sounds lovely! I’m jealous that you get to travel with your boy! 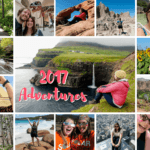 Your adventures this year drives me bonkers! So many things I’ve wanted to do, and cannot wait to do once I’m settled in to making some freelance money. From the roadtrip in the south, to Venice, to Hogmanay, and to Berlin…all are on my to do. Thank you for a stellar year on the blog and once again being an inspiration for me. Thank YOU Ryan! It was great meeting you this year, and I wish you all the best in 2014! Cool!! Camping in the jungle and northern lights and look really amazing!! Wish you loads of wonderful moments in 2014! Both were definitely very memorable experiences! I’m happy to see Venice on the list. One of my favorite places in the world. Very intrigued by Churchill though! Besides the Northern Lights did you get to see polar bears? Or was it not the right time of year? Churchill is very high on my list for the bears. Venice was great! And Churchill… there’s really nowhere else like it. Sadly I did NOT see any polar bears (ideal bear season is October/November, and I was there in March), but the Northern Lights were themselves well worth the trip. I definitely want to go back sometime for polar bear season, though! That northern lights photo is fabulous. Looks like you had a great year! Happy 2014! Thanks, Syd! And yes, it was an incredible year! Amaaaazing year! All of your posts about Central America have me so excited to visit later this year, and I’m so sad I skipped out on Santorini when I had the chance to go a few years ago. Excited to see what you get up to in 2014. Southeast Asia, YAY! I can picture you getting up to alllll sorts of misadventures in Central America, Lauren! Haha. Can’t wait to read about your adventures, too! Wow! You did some amazing things last year…I hope that 2014 is just as fulfilling…love your photos! Thanks, Corinne! I have no doubt that 2014 will be great. Busy but cool list. One of my dreams is to head to Churchill in Canada so hopefully I can manage that someday. Great photo of the lights. I hope you get the chance to! Churchill is so unique. I’d love to go back during polar bear season. You travels and photographs are great! I don’t currently have a post about how I fund my travels, but it’s on my to-do list. To be honest, though, I don’t have any secrets. I’m self-employed at the moment, but I work and save up money just like anyone else. 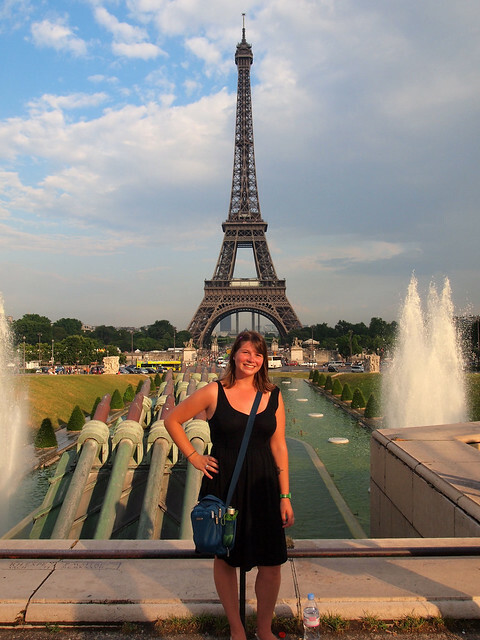 The difference is that I’ve made travel a priority in my life, and save up accordingly for it!